Samsung Electronics, the world leader in advanced memory technology, today announced that it has started mass production of the industry’s first 16-gigabit (Gb) Graphics Double Data Rate 6 (GDDR6) memory for use in advanced graphics processing for gaming devices and graphics cards as well as automotive, network and artificial intelligence systems. 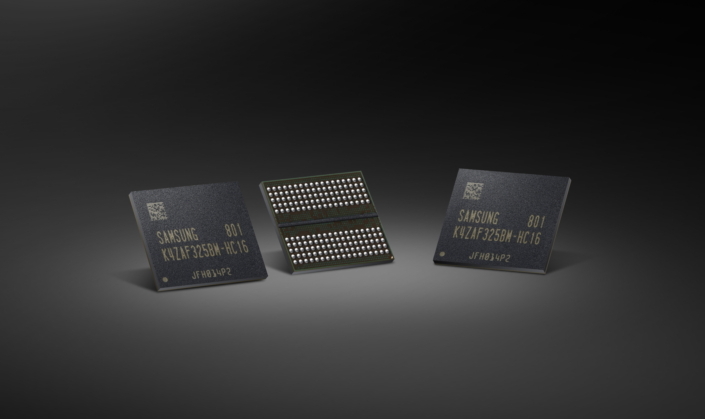 “Beginning with this early production of the industry’s first 16Gb GDDR6, we will offer a comprehensive graphics DRAM line-up, with the highest performance and densities, in a very timely manner,” said Jinman Han, senior vice president, Memory Product Planning & Application Engineering at Samsung Electronics. “By introducing next-generation GDDR6 products, we will strengthen our presence in the gaming and graphics card markets and accommodate the growing need for advanced graphics memory in automotive and network systems. Using an innovative, low-power circuit design, the new GDDR6 operates at 1.35V to lower energy consumption approximately 35 percent over the widely used GDDR5 at 1.55V. The 10nm-class 16Gb GDDR6 also brings about a 30 percent manufacturing productivity gain compared to the 20nm 8Gb GDDR5. With extensive graphics memory lineups including the new 18Gbps 16Gb GDDR6 and recently introduced 2.4Gbps 8GB HBM2, Samsung expects to dramatically accelerate growth of premium memory market over the next several years. * Editor’s Note: 10nm-class denotes a process technology node somewhere between 10 and 19 nanometers.